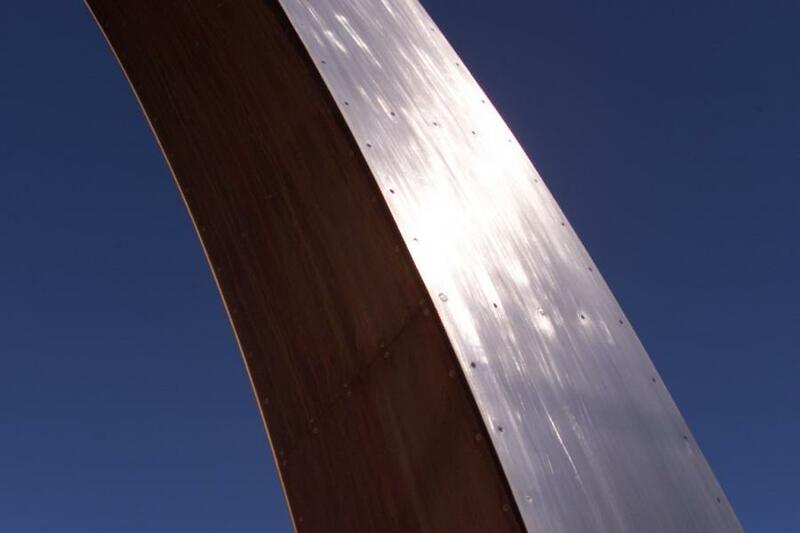 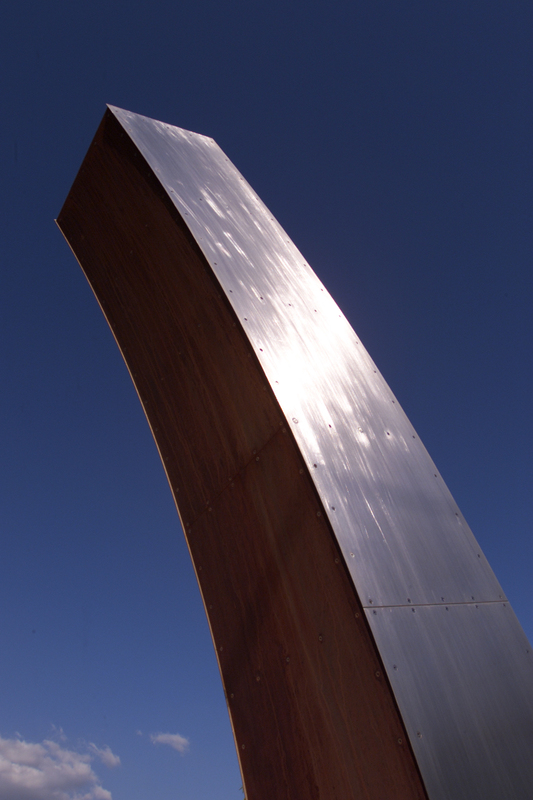 The Decoto Arch was the first public/private collaborative project in Union City’s new public art program. 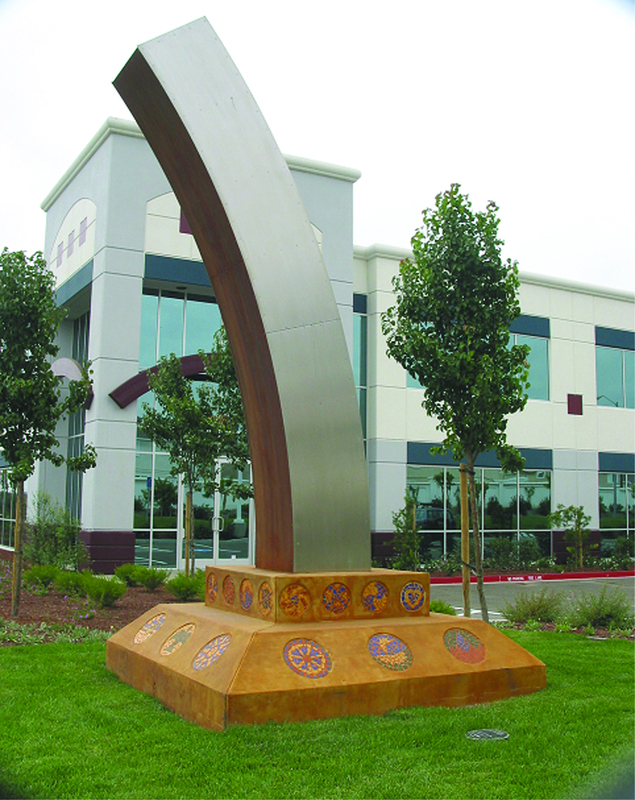 The sculpture forms a dramatic entrance to W.P Investment’s Decoto Business Park. 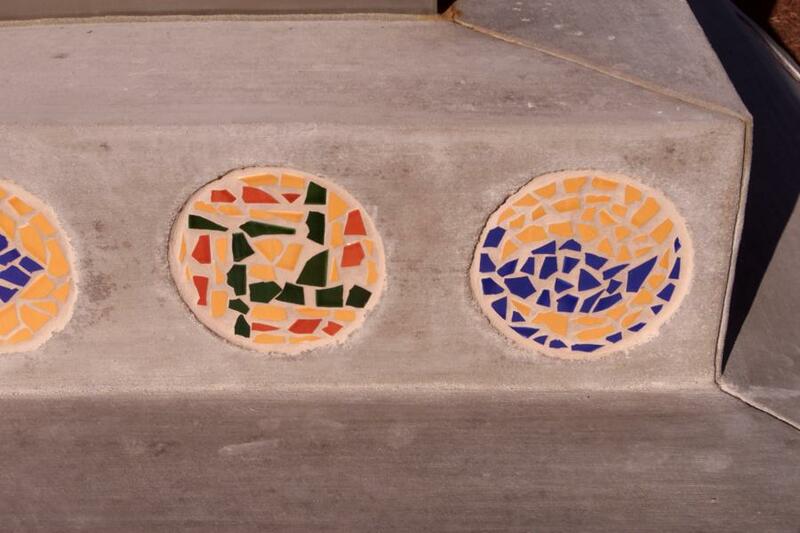 The cast concrete base is imbedded with colorful mosaics created by students from nearby James Logan High School. 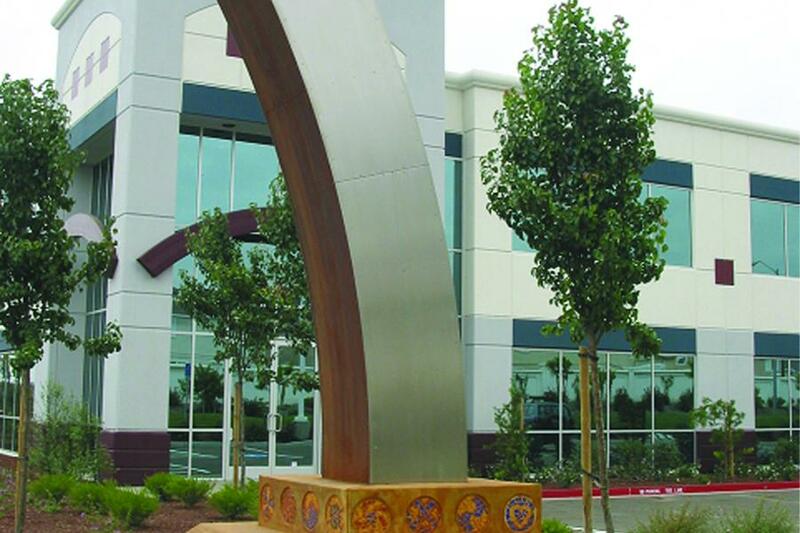 The contrast between the formal steel columns and the organic nature of the handmade mosaics reflects a successful collaboration between business and community.